Hamas, Hamas, Jews to the gas! In the news feed on Monday night I mentioned the controversy caused by the former VVD leader Frits Bolkestein, who remarked that Jews should leave the Netherlands because of increasing anti-Semitism. The two articles I included in the feed were brief items from English-language sources. What is not mentioned in the responses to Bolkestein is that the left wing is once again becoming ever more openly anti-Semitic, and justifies — or maybe even fuels — the anti-Semitism that is already present among the Muslim immigrants. [December 5, 2010] For observant Jews there is no future in the Netherlands, says Frits Bolkestein. The reason: anti-Semitism among Moroccan youths. “Observant Jews must realize that there is no future for them in the Netherlands,” said Frits Bolkestein, a prominent VVD member. To the newspaper De Pers he confirms his statement to this effect, as made in a recently published book by Manfred Gerstenfeld on Judaism in the Netherlands, called Het Verval [The Decay]. According to the former EU commissioner they had better advise their children to emigrate to America or Israel. He has little confidence in the current plans to counter anti-Semitism, such as the use of ‘lokjoden’ — a proposal by Labour Party MP Ahmed Marcouch (PvdA). “I am pessimistic,” Bolkestein said, “because the Palestinian-Israeli conflict — which is especially focused on the West Bank [Judea and Samaria] — continues to fester. I foresee no quick solution, and then also the anti-Semitism continues to exist. Many Moroccan and Turkish young people will care nothing for the measures.” In his eyes Arabic TV channels, which are viewed here via satellite dish, are playing a bad role in that process. The increased anti-Semitism in the Netherlands, especially after 9/11, has been high on the political agenda since last summer. There was an emergency debate in Parliament when it became known that in Amsterdam-West, a part of the city with many Muslim residents, there is a “shelter synagogue” and that many institutions — such as Jewish schools — need to be protected. Last year the Center for Documentation and Information Israël (CIDI), counted 55 percent more anti-Semitic incidents (including threats and violence) than the year before. Incidentally, there are also indigenous offenders among them, who often entertain far-right sympathies. In the book Het Verval, a bleak picture is thus sketched. Even at Bar Mitzvah celebrations nowadays there are security guards present. A young Dutchman from Rotterdam kept a week-long diary about how he is over and over again denounced as a “cancer-Jew”. For this reason, orthodox Jews are more likely to choose not to wear their yarmulkes in public. And in some schools it is almost impossible to teach about the Holocaust because of the hostile reactions from immigrant pupils. [December 6, 2010] PVV leader Geert Wilders criticized his former VVD leader Frits Bolkestein, for his view that the rising anti-Semitism in the Netherlands means “observant” Jews have no future in our country. “Bolkestein is firmly wrong” Wilders twittered. “It is not the ‘observant’ Jews should emigrate, but Moroccans who are guilty of anti-Semitism!” Bolkestein was VVD-leader in the nineties when Wilders started to work for the VVD fraction. According to the biographer of the PVV leader, Geert Wilders is Bolkestein’s ‘apprentice’. Also other MPs are aroused about the remarks of the former VVD leader. “The worries are large, but this is not the solution,” said CDA MP Mirjam Sterk. She wants to hear the views of the Cabinet on Bolkestein’s remarks. Labour Party (PvdA) leader Job Cohen believes that former VVD leader Frits Bolkestein has taken “a wrong turn” if he finds that devout Jews should emigrate. 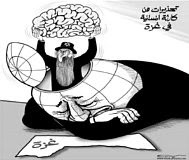 “That view is exactly contrary to the Western values we stand for. We are and remain the proud nation that protects everyone against breaches his or her identity. I would say: do not walk away, never walk away, but solve the problem,” Cohen said in a reaction. Evers is currently in Brussels where he together with other rabbis from across Europe speaks with imams from several European countries. Monday afternoon, the imams and rabbis will meet EU President Herman Van Rompuy. “These problems are also happening in other European countries,” said Evers. The writer/editor of the newly published book called Het verval: Joden in een stuurloos Nederland [The Decay: Jews in a Rudderless Netherlands] is Dr. Manfred Gerstenfeld, who lives and works in Israel. Dr. Manfred Gerstenfeld left the Netherlands almost forty years ago. He sometimes visits the Netherlands, and then it strikes him how the situation for Jews has worsened in Amsterdam. For instance, he was in a tram in Amsterdam in 2004 when two Moroccan boys stepped on and began to sing about Jews they wanted to kill, but were not allowed to. He noticed that this is apparently considered quite normal. Just as it is considered normal that he first has to be interrogated by the security in detail before he may enter a synagogue in Amsterdam. Which you do not need if you visit a church. There was some confusion about the term “observant Jew” Bolkestein used in his essay in Gerstenfeld’s book. Gerstenfeld explains that this meant the Jews who live in an organized context. Most of them are religious, but that is not necessarily so. It is also not always about clearly recognizable Orthodox Jews. The feeling of insecurity among Jews in Amsterdam is widespread, says Gerstenfeld, who as a result of the ‘Bolkestein affair’ received many reports from Amsterdam Jews who agree. Out of fear of exacerbating the situation, they often prefer not to say it out loud. Very often Gerstenfeld heard Amsterdam Jews say that they think that their children had better leave the Netherlands. And yes, what did you expect, says Gerstenfeld, when you let such one million Muslims with very anti-Semitic attitudes immigrate to the Netherlands? And while ‘dialogue’ is spoken about so often by politicians, in practice not much comes out of it. It is also not surprising that Jews in Amsterdam took a part of their security into their own hands, by arming themselves in groups. A situation that came to light through the affair of the Dutch Jewish parliamentary candidate for the PVV, Gidi Markuszower. You have to do something. And the Hague politicians continue to speak of dialogue. The anti-Semitism of the “far right” is actually similar to that of the “extreme left “ but less hidden. In a recent report on the extreme right wing, the AIVD (Dutch Secret Service) in fact shows that the “far right”, or “Social Revolutionaries”, are actually left-wing, and only differ from the extreme left wing on the issue of nationalism versus internationalism (just in case, see also the note below). Gidi Markuszower was attacked by the left-wing press for “illegal possession of weapons” and for having called for a ban on Goldstone Report supporters. See also GoV “A Sandwich With a Spine”. I wish I could say they are welcome to the US, but with Obama in office they probably aren't, still he won't be in the White House for much longer. Having said that I agree that any Jews that want to survive need to immigrate to some place other then continental Europe. I don't know how safe Britain will be but I do know the EDL has a Jewish wing and wants more people. Yep, because they achieved great things in the US, Richard. lol. Why are they growing in number? Why are they even tolerated in Holland - where they are not actually wanted by anyone? Has the government sold out to Islam too? When the last Jew has left Europe, then the Muslims will turn on the Christians. Every European nation will become just like the stink pots they left. Europe has itself to blame. I doubt that they will wait until ALL the Jews are gone to turn on others. RV: do you believe that Jewish immigration to the United States has been, on balance, a bad thing? If so, why? Contrary to what your snark suggests, such an opinion is not universally held. Jew baiting is undoubtedly thrilling for people such as yourself, but really, how about putting at least little thought behind your words? 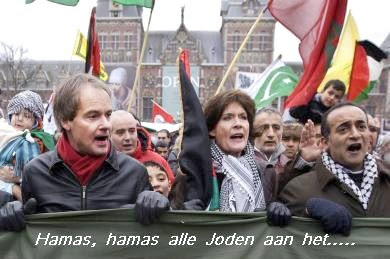 Its amusing that the political paries in the Netherlands that advocate for Muslim immigration condem the opinion that the Jews should leave for safer ports. My guess is that they need these magnets of pursecution (the Jews) to hang around so the Muslim garbage will consentrate on Jews instead of themselves until its time for the socialist/humanist politicians to retire and run away with their generous pensions. Bolkestein would have been arguing from an even stronger position, if he had actually done something about mass immigration of Muslims into the Netherlands. During the nineties, he stood alone for a long time, as a leading politician voicing opposition to the ideology of multiculturalism. He now rightly exposes the hypocrisy among all mainstream political parties (PVV excluded), when they react with indignation, for they themselves have welcomed these new antisemites, labeling anyone who voiced dissent a raving "islamophobe". The weak point in Bolkestein's cunning and doubly layered plea, is his own position: his party was part of the problem he has been signalling for about 20 years now. Anne Frank in a burqa posters? Just wondering: Why do anti-semites hang out at Gates of Vienna? Haven't they got the memo? Don't they have friendlier places to hang out? Or is there some amorphous atmosphere here they think beckons to them? Was wondering about the same thing. Seems there's two of them (RV and FCats) and they sound remarkably alike (almost identical agitprop about "zionist plotters" from some org in Sweden). There are more than two. Fooled Once has commented here; his blog is devoted to holocaust denial and links to a number of antisemitic, anti-Israel, quasi-jihadi websites. I think the sight of "right wing" Europeans in Israel speaking positively of Israel, Jews, etc., is sending them into conniptions. Call them out, and they will quickly find other blogs to troll. I may be wrong (both because I've not been regularly active in GOV comments fields and because of the commenter's often elliptical remarks), but perhaps the commenter "rebelliousvanilla" may be added to that list, as she seems to have made a couple of comments indicative of that interestingly odd preoccupation (what one could call the "mother of all conspiracy theories") called anti-semitism. Elan-tima, they mind the Jews leaving because they're not hypocrites, unlike most American conservatives who would make Jews exempt from being racist for moving, while rambling about how seggregation is bad if whites do it. nonsubhomine, it is a net negative, if you analyze the social changes they fostered. For instance, when people ramble about the Frankfurt school and then they turn into huge philo-Semites, I'm always amused by the irony of it all, considering that I don't know any Frankfurter who wasn't a Jew. Right now, if I'm not wrong, half of the opinion 'leaders' in America, 20% of the Congress, a third of the Supreme Court and the last 3 Fed charimen have been Jewish. Do you think the leadership you have in America is any good compared to the one you had 60 years ago? You're not mistaken. As a sidenote: earlier periods in history when Islam posed a serious threat to the West, there also was a marked rise in antisemitism. I think Prof. Rodney Stark has commented on that, but to me the "why" is still an open question. Do Our Clothes Have Feelings?